Apple on Thursday updated Clips, the company’s iOS app for creating short, sharable video clips. 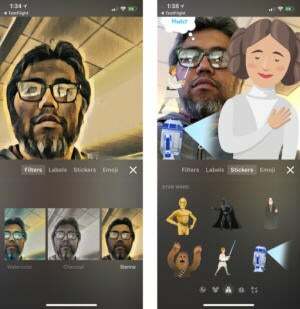 The update has a new iPhone X-specific feature called Selfie Scenes, in addition to new effects and stickers, iCloud support, and an updated interface. 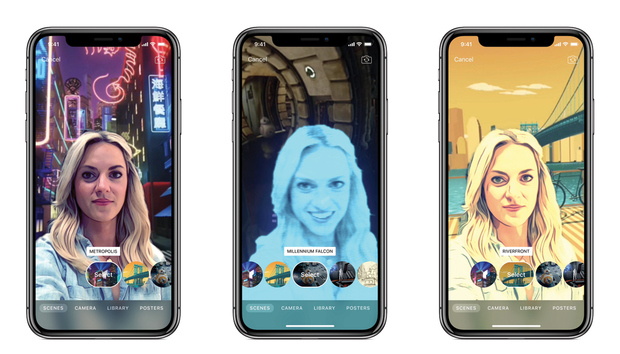 Selfie Scenes uses the iPhone X’s TrueDepth camera to place you in a special scene. The TrueDepth camera allows Clips to discern foreground and background objects, so it can place you (and whoever’s within your close proximity) in the foreground of a scene, and filter out objects behind you. One of the Selfie Scenes is the Millennium Falcon from Star Wars, and you can make a video of yourself inside the spaceship, complete with BB8 rolling through the background. Selfie Scenes are 360-degree scenes, so when you move, the scene continues as if you are actually in that space. You can also enhance your video with new Effects and Stickers. Apple includes four new camera filters: Charcoal, Indigo, Sienna, and Watercolor, that can be applied in real time while you record your video. 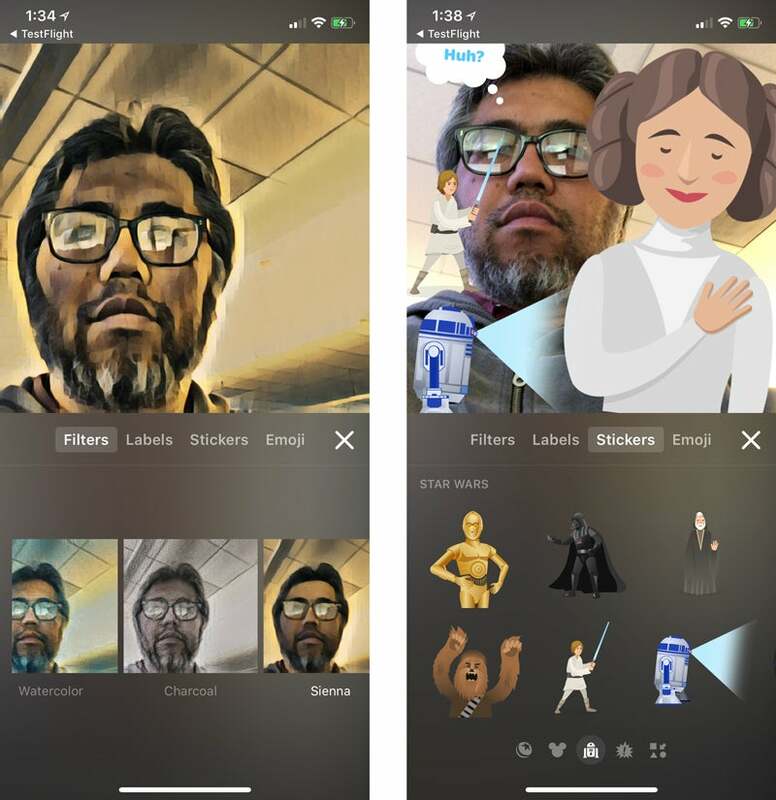 The new Stickers are based on Disney characters and include Luke Skywalker, Darth Vader, R2-D2, and Princess Leia from Star Wars. Apple also has new soundtracks that automatically adjust to the length of your video. With the new iCloud integration, Clips projects can now be edited on any iOS device associated to your account. If you started a project on your iPhone, you will be able to access it on your iPad. The projects include references to photos and videos in your iCloud Photo Library, so Clips doesn’t take up your iCloud storage space. Apple updated the Clips interface so that all the buttons and assets are reachable with your thumb. (In the previous version, some buttons are located at the top of the screen.) The new Effects browser makes it easier to find the effect you want. When you’re perusing your own photo library or Clips’ posters, Clips uses a full-screen browser. In order to get all of the new features of Clips 2.0, you need to use an iPhone X. An iOS device with an A10 processor is required for the new effects. Clips 2.0 will run on devices as old as an iPhone 5s, iPad Air, and iPad Mini 2, but those devices need to have iOS 11.1 installed, and you will not be able to access Selfie Scenes or the new effects.